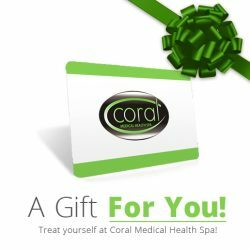 Coral Medical Health Spa in Windsor, Ontario offers some of the best Hair Removal Solutions available in the Windsor and Essex Country Area. Using our Intense Pulse Light hair removal machine, by Palomar Medical, we offer full-body permanent hair removal including facial hair removal. 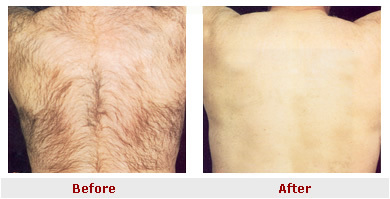 Each individual patient’s hair removal treatment will be specifically tailored to their needs. We value our patients and therefore treat each and everyone with special care. During your free consultation your skin will be analyzed. We will discuss your medical history, and the goals you have for your hair removal, and together we will develop a plan of action based on your particular needs. By following a specially designed hair removal treatment regime and timely treatment follow-up you will achieve the desired hair removal you seek in a timely and simple fashion. Please contact Guest Services to schedule your free hair removal consultation at Windsor’s top spa today!. Traditional waxing and threading treatments, which essentially rip the hair from the skin, can be quite painful. Most people however, find the technology used in pulse light to be much more comfortable. In addition, since the pulses of light penetrate the skin, you do not need to let your hair grow out before you are treated. With pulse light treatments you can remain virtually hair-free all the time! IPL is also a quick way of getting rid of unwanted hair. Using our technology, a woman’s legs or a man’s back can be treated in under an hour, and smaller areas such as the underarms, upper lip, and bikini line- can be treated in less than thirty minutes. Highly controlled pulses of Intense light are selectively absorbed by hair follicles lying below the surface of the skin. The absorbed light heats and destroys the hair follicle, preventing regrowth from occurring and without damaging surrounding tissues. The hairs go through three different stages during their life cycle at different periods of time. The hair is most vulnerable to IPL at one of those stages which is why several treatments are required to assure the destruction of hair follicles. All areas of the body (legs, back, bikini line, face, neck, etc.) can be treated, except under the eyes. Quick and easy! After your initial consultation, one of Coral’s hair removal technitions, will move a wand-like handpiece over your skin. The handpiece emits a light that disables the hair follicles. Most people perceive the light as a gentle “snapping” sensation. Once this is completed, all loose hair is wiped from your skin, and you are ready to go. What are some side effects of the treatment? Most people experience some mild redness and tenderness in the treated area shortly after treatment. This does not interfere with normal activities and usually subsides within a day. In some cases, the redness may last longer, but will still be mild and temporary. The treatment specialist can explain some other less-likely side effects to you. Our state of the art IPL Hair Removal technology is customized according to your hair colour, skin colour, texture and body location. Any hair with at least some pigmentation in it (black, brown, red and even blond) can be treated effectively. Coral Medical Health Spa located in South Windsor uses the most advanced IPL hair removal system which is FDA approved for permanent reduction of hair in all skin types, including dark skinned African Americans and Hispanics. Intense Pulsed Light (IPL) systems and lasers are very similar and remove hair in basically the same way. However, the new IPL based technology is able to remove hair up to ten times faster than lasers. As a result, the ease and quickness of the treatment allow IPL based hair removal to fit even the busiest person’s schedule. IPL also eliminates the chance for scarring during the procedure, and is almost completely painless. 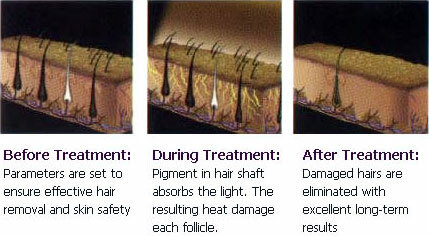 It is very important to protect the top layers of the skin from becoming too hot during a IPL hair removal treatment. It is more comfortable for clients especially during long treatments. Coral’s IPL hair removal machine exerts a cooling contact with the skin by the handpiece. When the tip of the hand piece is placed on the skin, it cools down the upper layer of the skin and protects it from getting too hot. This allows us to use higher energies at a safe level, and thus obtain better results. The number of treatments you may require for optimal long-term benefits, depends on which area of the body you whish to have treated, the hair density and colour, and the hair growth cycle. IPL slows the growing capacity of the hair follicles in the growth cycle at the time of the treatment. Since some hair follicles enter the growth cycle after the treatment, three or four treatments may be required to deliver optimal results. As opposed to other hair removal methods, IPL does not cause the hair to grow back thicker, darker, and quicker. Rather the opposite effect may occur. Hair may grow back thinner, lighter, and much slower. Cost of IPL hair removal is based on the area being treated and the density of hair, so it is completely individual.